Lore will stay on and run Walmart.com as well as Jet.com, two sources said. It seems likely that he will report to McMillon, the CEO. Walmart’s current global e-commerce chief, Neil Ashe, will eventually depart after a transitional period, these people said. He joined Walmart in 2012 after a three-year stint at CBS Interactive. Jet does not disclose revenue numbers, but my back-of-the envelope math suggests the company is on pace to do no more than around $500 million in revenue over the next year. An acquisition price that is six times a company’s revenue is mostly unheard of in e-commerce, especially for a company that is nowhere near profitable. Is Walmart looking for an operations team for its ecommerce efforts? 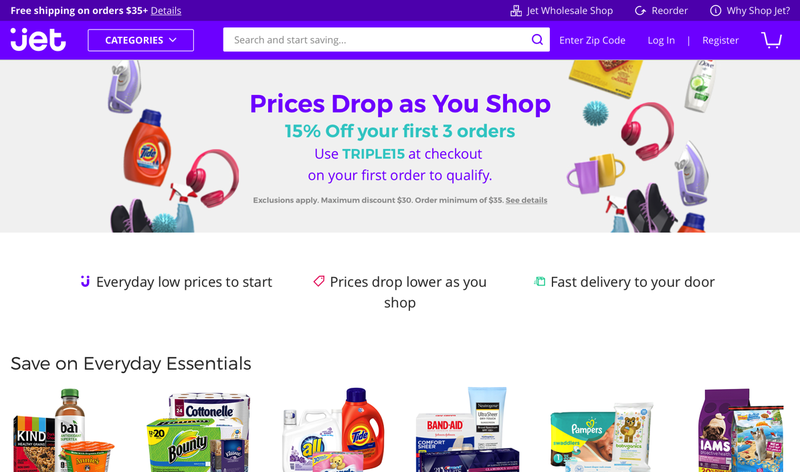 Combining a seasoned team with Walmarts ressources, and a separate online entity with Jet.com, will move the needle for Walmart. But it will be no threat to Amazon. ShippingPass: Does Walmart Stand a Chance with Two-Day Shipping against Amazon Prime?